A month in the life of DabApps newbies. Charlie Tomsett and Jake Howard are the most recent additions to the DabApps team. We're aware that keeping our staff members hydrated will aid them to perform at their very best throughout the work day. As a result, we decided to invest in water dispensers from AquAid. 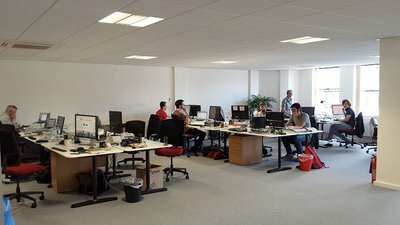 We have just moved into a fabulous new office close to Brighton station and it's going to be brilliant! DabApps - RAR Digital Award Finalist! Following a huge couple of years in business and incredible feedback from the people who matter most - our clients - we thought it was high-time we put ourselves in the running for some awards. Working with Cats Protection, the UK's leading feline welfare charity. So, in an attempt to vary our blog content (and raise some money for charity! ), I'm going to veer away from tech or business and talk about something totally different: boxing. The 'AOGsmart Tool' is the new online parts, logistics, tooling and technical expertise sourcing and procurement platform for airlines and their suppliers, "when every second counts". Why? Because it's been a real success story for DabApps. RAC Garage Compare has been launched by the The Motorist's Organisation in partnership with the RAC.